On Wednesday, November 21st, Leadership Niagara hosted a one-day certificate workshop on Cultural Mentorship for local professionals. 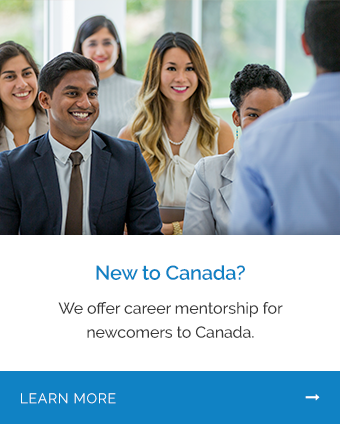 This certificate was designed to equip prospective mentors interested in our Mentorship Program with the knowledge and soft skills necessary to help guide internationally trained professionals toward rewarding Canadian jobs in their field of expertise. Thanks to enthusiastic response from Niagara's professional community, NWPB's Immigrant Mentorship Program now has 27 new mentors available to partner with Niagara's highly trained newcomers. The certificate workshop gave participants a deeper look into the challenges facing Canada's new citizens, as well as providing best practices for mentoring someone through the process of establishing their career in Canada. Participants also got to meet two newcomers and hear their stories of coming to Canada and re-starting their careers in a new country. One of the speakers - Patrick Mugeman - also looks forward to mentoring other Niagara newcomers as they establish themselves here in our community. The day included many activities to get participants actively engaged in planning their mentorship experience, and when asked, participants stated that they were excited to put what they'd learned and brainstormed into practice. The Cross-Cultural Mentorship Certificate is a fantastic resource for professionals looking to enhance their mentorship skills and global perspectives, but if you missed the workshop, worry not: the certificate is not mandatory for becoming a mentor with NWPB, and our Mentorship Manager, Josie Faccini, is happy to provide you with the information needed to start your own mentoring journey. If you want to make a difference in your local workforce and in the life of a fellow professional, get in touch with Josie today via email, or by calling 905.641.0801 ext. 126.